During the meeting, the chairman of the Chamber informed members of the latest CBCC developments. The Czech Embassy confirmed its strong and continuing support despite the sad loss of the Ambassador. Sir Frank Lampl was elected the Chamber’s first Honorary President. The General Meeting officially adopted the Czech British Chamber of Commerce draft Constitution. The members of the Chamber approved the Chairman and the Executive Committee. A discussion then followed on the involvement of members in the activities of the Chamber, as well as the kind of annual event program envisaged for the Chamber. The opinions expressed indicated a strong preference for networking opportunities. The Executive Committee will bear this in mind when planning future events. At the end of the discussion, the Executive Committee presented the latest developments regarding communication and the CBCC website. The formal part of the meeting was followed by refreshments and an opportunity for free discussion and networking. 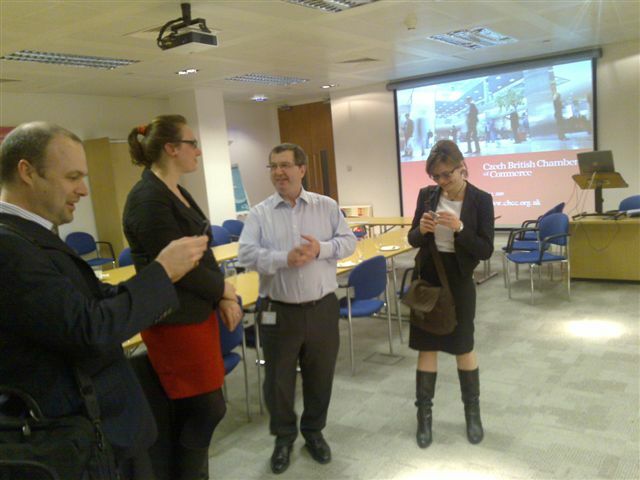 The meeting was held at the offices of UHY Hacker Young LLP in London, the official CBCC address.